To reduce your cost, Brandsport offers this item in Bulk (sold here individually). 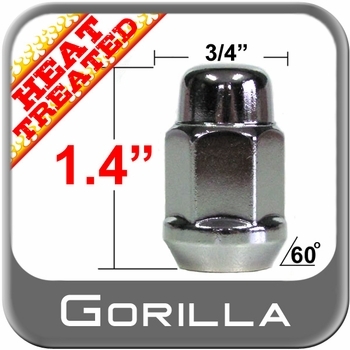 Gorilla also lists this same item in 4-piece sets as Display Package # 41147HT and Bag # 41147HTB. Fight rust and corrosion with a sleek chrome finish that extends the car's lifespan and keeps you driving for years. . 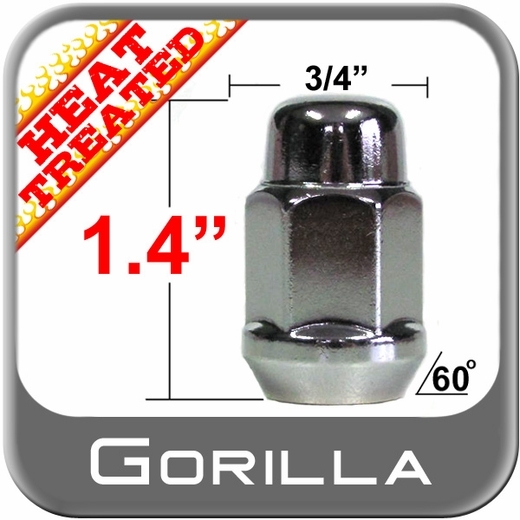 Excellent heat treated steel goes into the making of these chrome Gorilla lug nuts. Exact measurements for a guaranteed fit for all 14mm Acorn Bulge seating surfaces . Nice chrome finish, fit great and look good. Nice to find these with 3/4 socket size, a lot of nuts this size are 13/16 socket size which is too big for my wheels.